Are you excited about your laser tag party coming, but worried you won't have enough seating?! Not to worry! We would love to serve you! We offer table and chair rentals to all of our laser tag customers! Forget about those weak, flimsy tables and chairs seen at most events! 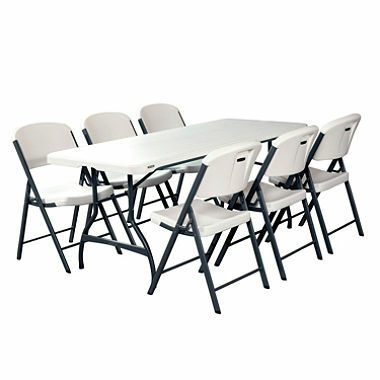 We offer "Lifetime" Tables and chairs that are designed for strength, functionality and comfort! You have our guarantee that our tables and chairs will be in excellent condition on arrival for your event! "They do a fantastic job with set up and training. They have many different game types to play and the kids will have a blast with any they play."